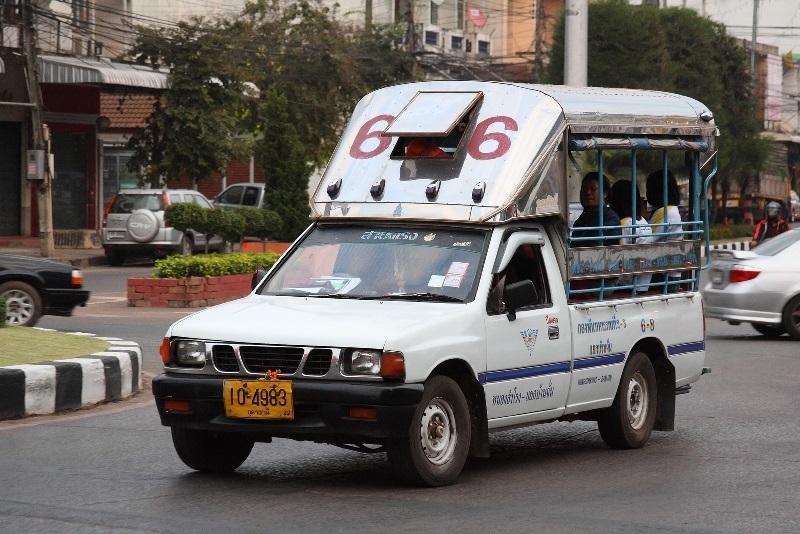 Songthaew Buses in Udon Thani are a highly efficient and cost effective way of travelling around Udon Thani and getting to some of the surrounding villages and towns. The routes on which they operate are probably going to be very convenient for most, although they obviously do not provide entire city coverage. Most of these buses do however take in the Central Plaza shopping mall on their route. 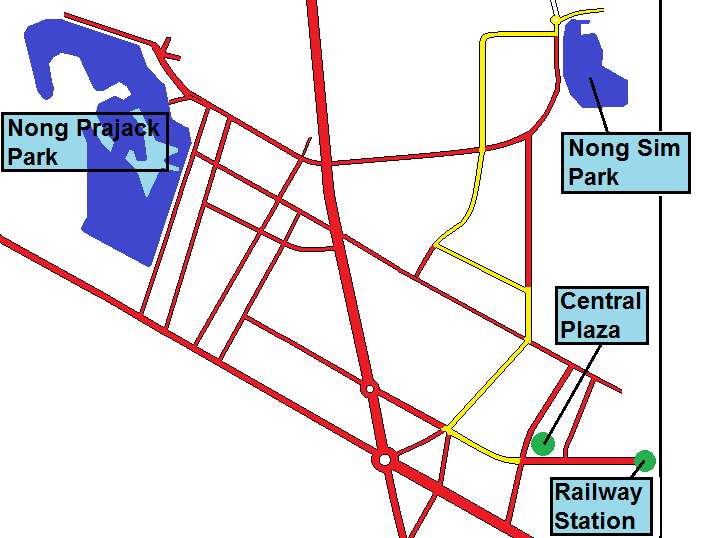 The Songthaew buses are also incredibly cheap, with a fare costing no more than perhaps 15 baht from one side of the city to the other. The bus route numbers are very clearly shown in big, bold numerals at the front and rear of every bus, and you can see one approaching from quite some distance. 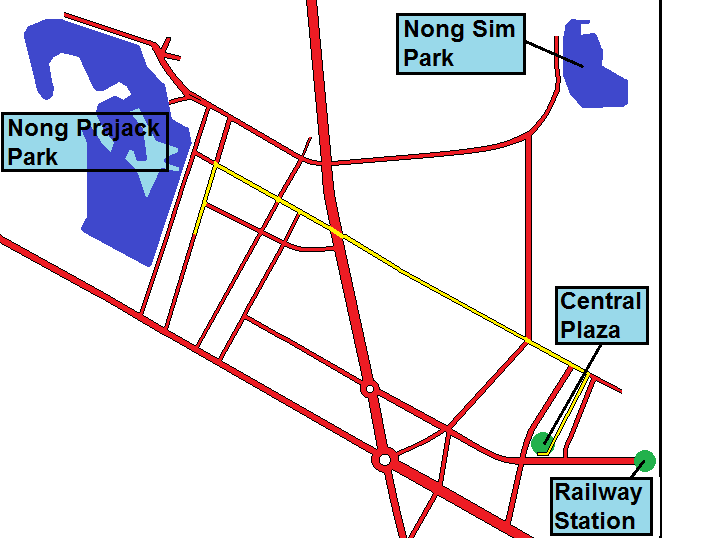 Simply flag the bus down anywhere (there are no designated bus stops), and go where you want to go. On arrival, press one of the bells/buzzers that are littered all over the interior of the bus, jump off, and pay the driver (via the passenger window on the left). These buses operate throughout the day from about 7.00am to 7.00pm during school terms, but when the kids are off school, many stop running a bit earlier, and you may struggle to see one after 5.30pm. If you see your number bus go past before you get the chance to flag it down do not despair, another will be along normally within 10 minutes. 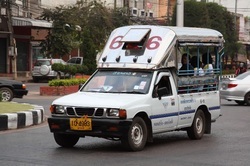 In case you had not spotted it, these Songthaew buses are no more than a converted pick up truck, for which a special license is required to undertake the conversion of the vehicle. 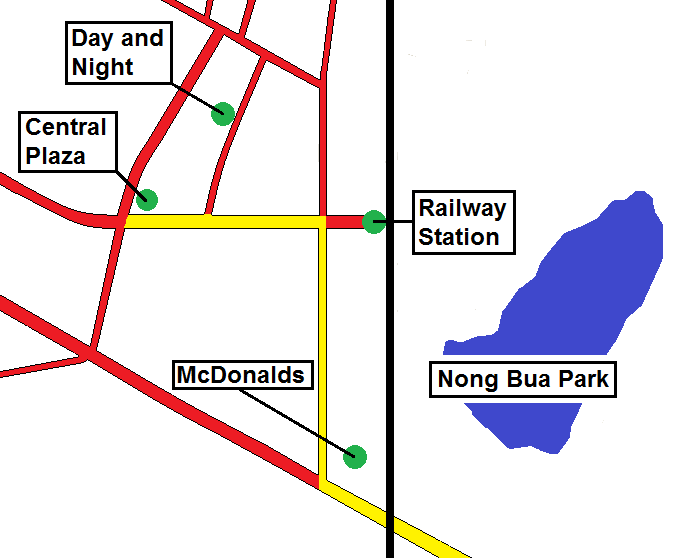 I am not sure if this route remains operational.